Before I began my 95-day journey across this continent, I needed to stop by the Hallowed grounds of Cooperstown for some good luck. What I experienced was an amazing weekend at the real Happiest Place on Earth. As you follow me on this tour, you will most likely notice that I am never without my Detroit Tigers hat. While I am a die-hard Tigers fan, I am first and foremost a baseball fan. In the 30 stadiums I will be visiting this summer, I will root root root for the home teams. With that being said, I was fairly excited to find out that the Baseball Hall of Fame was hosting a special Tigers weekend with special exhibits dedicated to the history of Detroit. On day one of my Cooperstown visit I was lucky enough to catch author John Rosengren speak about his wonderful book Hank Greenberg: The Hero of Heroes. John is an amazing writer and the story of Greenberg is one that I believe every young baseball fan should know. With 42 hitting theaters earlier this summer the country is talking about Jackie Robinson, but I believe that there is a lot to be learned from Hank Greenberg's struggle as a Jewish-American baseball player as well. 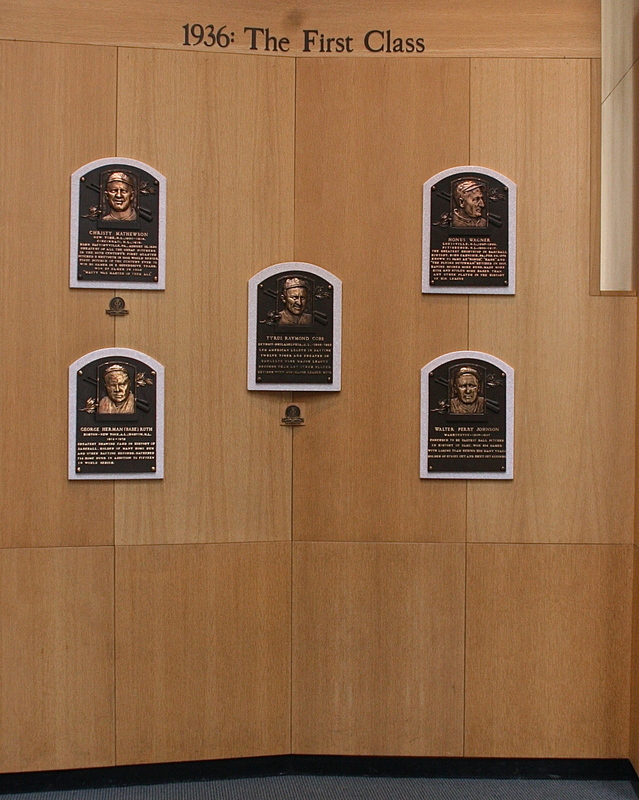 After spending nearly eight hours at the Hall of Fame, I decided to extend my trip an extra day. The next day I came back and slowly went through every single exhibit. I made sure that I snapped photos of as many team's memorabilia as possible. I will be including some of these photos on the individual team pages as the tour continues. I met an amazing mother and daughter from San Francisco who told me stories about attending baseball games together for the past two decades. They were in attendance at Matt Cain's perfect game and they have shared countless memories bonding at the ballpark. We hear a lot about fathers and sons and baseball. My father is the reason why I love baseball. When I heard the beautiful relationship that Barbara and her daughter had developed at the ballpark I was inspired. As time goes on I hope that more mothers, daughters, wives, and sisters come out to the park and share in what men have know to be true for many years: baseball makes everything better. The moment wherein I knew my decision to stay an extra day payed off is when I met a man named Earle Bellows (pictured left). Mr. Bellows was at the Hall and had a special ball with him. This ball was signed by Babe Ruth. I chatted with Earle for several minutes before he graciously allowed me to hold this ball signed by The Babe. A chill ran down my spine as I held this ball gingerly in my palm. This was my good luck charm as I set out on my 15,000 mile journey. The Sultan of Swat, The King of Crash, The Colossus of Clout, The Great Bambino!